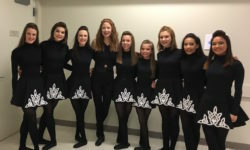 Saturday 5/26: No Changes – all classes will be held a their usual locations Sunday 5/27: NO CLASSES – Hurley Feis! Good luck to those competing! Monday 5/28: NO CLASSES – Memorial Day! Thank you to those who have served! Grace Episcopal Church classes will be held at Hughes UMC tonight (10700 Georgia Ave). Sorry for the late notice! Register today for classes for 2018-19!